Firm reduction completely dominates the nose at present. On the plus side there is excellent concentration to the beautifully well-delineated broad-shouldered flavors that possess a wonderfully refined mouth feel while delivering huge length on the impeccably well-balanced finale. 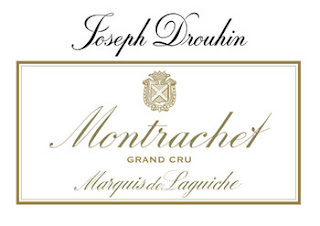 As Drouhin's Montrachet often is, this is a wine of refinement and grace and while it is by no means lacks power or punch, it is much like the Corton-Charlemagne in that it is sleek and classy with a sneaky long finish.